Attentive to the needs of winemakers, and remaining constantly abreast of the latest technological developments, PMH VINICOLE designs and manufactures equipment which optimizes wine-making process performance and user comfort. It takes pride in its technical expertise combined with a practical understanding aimed at the continuous improvement of winery equipment. The close relationship with customers enjoyed by PMH VINICOLE and its distribution network, is illustrated by proactive listening to customer needs, long-term customer support, customized adaptations, a high level of responsiveness and continuous assistance. PMH Vinicole combines extensive knowledge of the wine world, technical expertise and integration skills to provide practical solutions to customer needs and innovations to improve the vinification process. 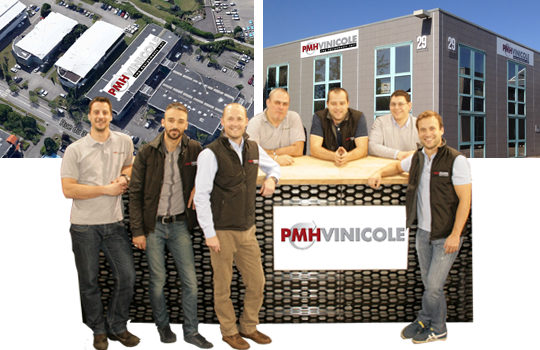 An innovation approach is at the heart of PMH Vinicole’s history and growth strategy. Its engineering and co-development abilities, backed up by strong technical partnerships (automation, electronics, boilermaking, motorisation), are strengthened and driven by evolving winemaking practices, customer needs and experience in the field. 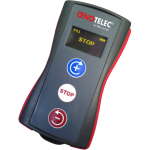 PMH Vinicole launches the OENOTELEC®, a remote control, designed to withstand the conditions of use in the winery. The OENOTELEC®’s key strength: Its signal, digitally transmitted by high frequencies (Hifi and WIFI), unique of its kind. PMH Vinicole’s broad range is the result of long experience, the response to market requirements, and a desire to continually improve the equipment. Its reliability and practicality sets it apart. It brings together an extensive catalogue of tried and tested equipment and innovative solutions benefiting from the latest technologies. Stainless steel design, precision, mechanical and electronic safety, efficient utomation, high quality finish… . PMH Vinicole’s demanding quality requirements are embedded into its design to manufacturing process. 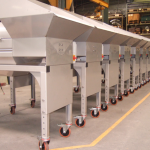 Designed and dimensioned for each winery’s specific processes (specific regional requirements, AOC constraints, output from 2 to 120T/h…), the equipment is designed to be easy to install, use and maintain. PMH Vinicole provides a minimum 12 month guarantee covering spare parts. Depending on the equipment, this guarantee can be extended to 24 months. Other extensions can be discussed. In practical terms, PMH Vinicole’s equipment distinguishes itself for its exceptional operational longevity and the company commits to supporting every customer over the long term (spare parts, technical support, etc).